Guest author Kim van Alkemade has a doctorate in English from the University of Wisconsin-Milwaukee and is a professor at Shippensburg University in Pennsylvania. Orphan #8 is her first novel. 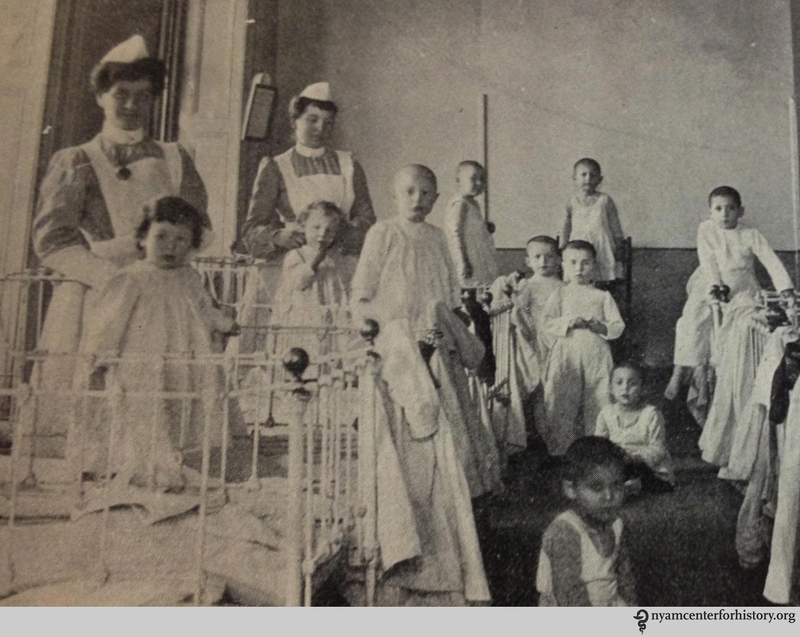 A dormitory in the Hebrew Infant Asylum. From Annual Report 1914 Hebrew Infant Asylum of New York. Detail of the Meeting Minutes of the Board of Trustees of the Hebrew Orphan Asylum. Courtesy of the American Jewish Historical Society. I nodded, imagining for a moment that she recognized me: her brave, good girl. She lifted her hand to my face, bent my head back to expose the underside of my chin. Her thumbnail circled the scars there, tracing the dimes of shiny skin. Then she placed her fingers against my drawn eyebrows and wiped away the pencil. Finally, she reached up to my hairline and pushed along the brow. My wig shifted. She pulled her hand back in surprise. It wasn’t tenderness I saw in her face, not even regret. Fear, maybe? No, not even that. Though I invented the character of Dr. Mildred Solomon before I discovered more about Dr. Elsie Fox, it turned out the real person was similar to my fictional character. Elsie Fox was born in Vienna, Austria, in 1885. When she graduated from Cornell with her medical degree in 1911, she was one of 8 women in a class of 53 graduates. She became a fellow of the New York Academy of Medicine in 1916, and was a member of the Bronx Roentgen Ray Society.6 A published medical researcher, she went on to become the Director of the Harvey School for the Training of Analytical and X-ray Technicians in Manhattan and was a Roentgenologist at City Hospital. She was 58 when she died in June 1943. From Hess, Alfred F., M. D. Scurvy, past and present. Philadelphia, J.B. Lippincott Company, 1920. 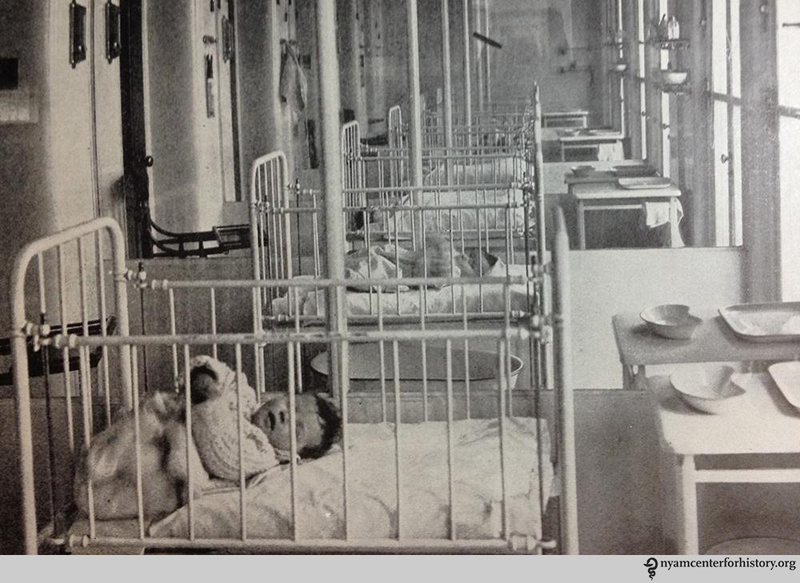 Glassed-in babies, from Annual Report 1914 Hebrew Infant Asylum of New York. When I would tell people about the medical experimentation on children depicted in my novel, they would often say it sounded like something the Nazis would do. As first I was impatient with the comparison: these experiments were conducted well before the rise Hitler in Germany, and the doctors conducting the research, many of them Jewish themselves, intended to advance medicine for the benefit of all children. Yet, as I thought about it from the point of view of one of the child subjects, I wondered if that distinction would matter. It is easy for contemporary readers to conflate all medical experimentation on children with the atrocities of the Holocaust, but even after “the world was outraged at the murders carried out in the name of science by Nazi physicians during World War II,”10 some American doctors continued to use orphans, prisoners, and other disenfranchised populations in medical research without their consent. In my novel Orphan #8, I bring this aspect of medical history to general readers through the use of narrative and story. Medical students and physicians may also find that fiction provides an opportunity to explore these complex issues with empathy and imagination and to engage a wider community in the discussion of medical ethics. 1. van Alkemade, Kim. Orphan #8 (New York: William Morrow, 2015), 232. 2. Lederer, Susan E. and Michael A. Grodin. “Historical Overview: Pediatric Experimentation.” In Grodin, Michael A. and Leonard H. Glantz. Children as Research Subjects: Science, Ethics, and Law (New York: Oxford University Press, 1994), 10. 3. Lederer and Grodin, 19-20. 4. Executive Committee Minutes 1909-1930. Hebrew Orphan Asylum Collection, Archives of the American Jewish Historical Society, Center for Jewish History, 15 West 16th Street, New York, NY. 6. The Bulletin of the New York Academy of Medicine. September 19 (1943): 676. 7. Lederer, Susan E. “Orphans as Guinea Pigs: American Children and Medical Experimenters, 1890-1930.” In Roger Cooter, ed. 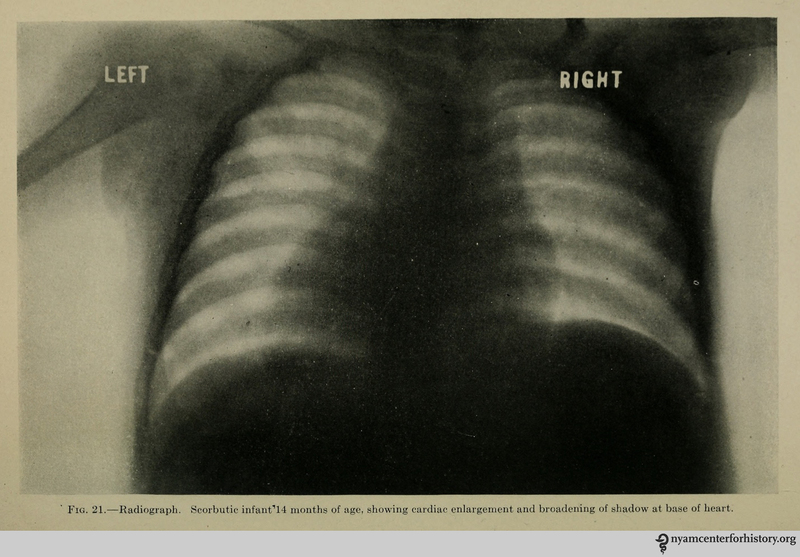 In The Name of the Child: Health and Welfare, 1880-1940 (New York: Routledge, 1992), 115. 8. Lederer and Grodin, 13. 10. Lederer and Grodin, 16. This entry was posted in Collections, History of medicine and tagged alopecia, guest post, medical ethics, medical experimentation, Orphan 8, orphanages, orphans, X-rays by nyamhistorymed. Bookmark the permalink.